Abundant sunshine. High 59F. Winds NW at 15 to 25 mph. Higher wind gusts possible.. Some clouds. Low 37F. Winds N at 10 to 15 mph. 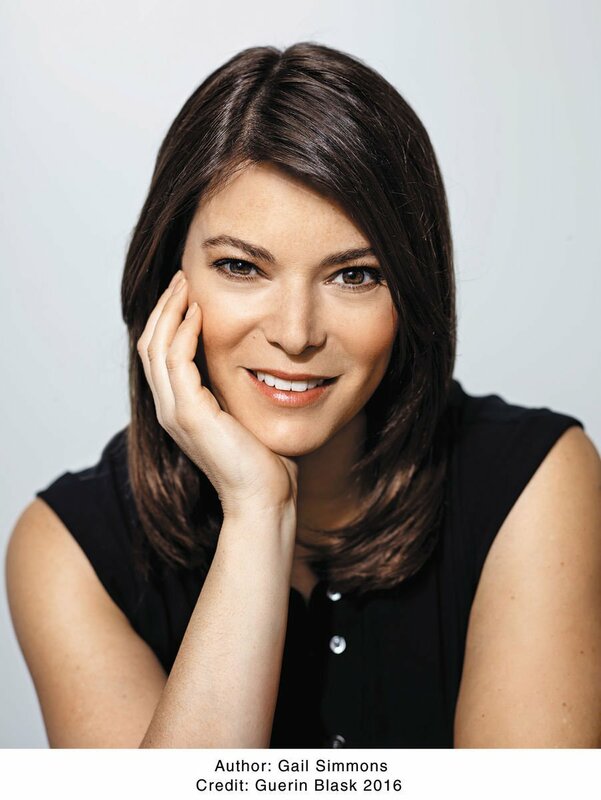 Gail Simmons will be speaking in Madison Friday about her first cookbook "Bringing it Home." Millions of TV viewers have invited Gail Simmons into their homes over the years with the reality cooking competition “Top Chef.” With her new cookbook, she welcomes fans into her home kitchen to sample the dishes she was inspired to create from a lifetime of fine dining. Simmons, 41, began her career at culinary school in New York City in the 1990s and began writing for Food & Wine magazine in 2004. She began her TV career as a judge on BRAVO’s “Top Chef” in 2006 and has been involved in every cycle of the show, including the 15th season that premieres in December. This time, the “cheftestants” will do battle in kitchens across Colorado. Simmons will visit Madison as part of the Wisconsin Book Festival on Friday, in support of her first cookbook, “Bringing it Home.” When reached by phone, she expressed regret at being in Madison only overnight, limiting her ability to explore the city’s dining options. Q: Have you ever been to Madison? A: I haven’t. I’ve been to other parts of Wisconsin – Milwaukee and Kohler – but I’ve never been to Madison. I hear it’s the most beautiful place. I can’t believe it’s taking me this long. Q: Will we ever see a “Top Chef Madison”? A: I don’t have an answer to that. We’re definitely due to come to the Midwest again. Hopefully we’ll get to that neck of the woods sooner or later. We did Chicago (in 2008) but that was so long ago. Q: What does the title of your cookbook mean, “Bringing It Home”? A: Quite literally what it says. When I was a child my family traveled a lot, and certainly over the last 20 years working in the world of food, I’ve been able to do a lot of travel. Not just travel in terms of global trips, but exploring cities and working with some amazing chefs, and really getting to know places where I’ve gone for “Top Chef,” for Food & Wine magazine, for chefs I’ve worked with. Over the years I’ve written down flavor combinations and dishes that I’ve loved, tips and tricks and techniques that I find useful so I can bring them home to cook in my own kitchen. This book is really an amalgamation of all of those recipes, all of those inspirations that I’m bringing home for everyone to cook in their own kitchens. Q: The subtitle is: “Favorite Recipes from a Life of Adventurous Eating.” Is this a book for everyone, even beginners? A: Absolutely. We struggled with that word because we worried that “adventurous” would make people think it meant me eating ridiculous and outlandish things that no one wants, but that’s not at all what it is. It’s my favorite recipes in the world. This book isn’t about adventurous, crazy recipes, it’s about taking one smart flavor or ingredient or trick that I’ve learned through all of my eating and travels and learning how to integrate them into recipes that I cook at home for my family. These are all family-friendly. I mean, look, it’s not a four-ingredient, seven minutes or less cookbook, but it is approachable. There’s no single ingredient you can’t get where you are. Q: Is there any ingredient you refuse to cook with? A: No. I mean, there are certain things that I don’t love. I have a weird, irrational thing against black beans — no offense to black beans. I had a bad association with them once and I just generally don’t eat them. I couldn’t do my job if there were things I was afraid of, or if I had a long list of things I won’t eat or won’t cook. That just takes the fun out things. Q: When you’re coming up with recipes, do you test them out on family and friends? A: Absolutely. It can be a very navel-gazing exercise to write recipes that you want to eat but that no one else is actually going to cook. Just like being a chef in a professional kitchen, it’s easy to make food that you like and not think about your customer because you’re behind the kitchen door. Then what’s the point? The whole point of writing a book or running a restaurant is to feed other people and to inspire other people. I cooked all the recipes in the book for my family. I had friends test the recipes for me. If I could (make a recipe), but I thought it might be too difficult for a home cook without any professional training, I would give it to friends to make to see if they could do it easily. Q: You spend a lot of time either writing or being on TV. Do you have a preference? What would you rather wake up and do? A: Waking up and writing doesn’t require hair and makeup and lots of cameras and traveling to a remote place, so that’s the pro, but it’s also very isolating and you can’t always reach the same audience. I love them both for different reasons. I love when I get to spend days in my kitchen developing recipes for an article or for this book, for example. I also love that I have a voice and can go on television and speak about something I’m really passionate about and change the way people think about food on a bigger scale. I fell into the TV part a little bit by accident. It’s a bit unexpected and for that reason, I think it’s really powerful. Q: What can people expect at your reading? A: Every stop is a little bit different. In Madison, I want people to know me. Most people know me from the different shows I’ve done, so they know an edited version of me. This book is about the real me, the one who is in the kitchen, cooking, talking about the stories and the people that I love. I want to tell the story of the recipes in this book and why they’re so important to me. What: Gail Simmons discusses “Bringing It Home” (Grand Central Life & Style, $30). Where: Community Room 301 and 302, Central Library, 201 W. Mifflin St.